Today marked a huge day in the political arena as voting polls opened up nationwide to allow U.S. citizens cast their votes for their favorite political officials. Governors, Senators, and Congressmen and women have canvassed their respected districts and states in order to sway voters to believe in their words and speeches enough to where they win their vote. For the first time in our nation's history, we see members of the "Tea Party" throwing their hats in the ring to gain political progress by occupying seats in both the Senate and the Congress. Though they may not hold dominating numbers like the Republican and Democratic Party, they have flexed their muscles and caught the attention of many in our nation. The anti-government party looks to make impactful changes to our political agenda by shaking up the vote and planting their influential seed on our government stages. The most important elections, however, sits in our own backyard as the main focus is on the race between (R) Sharron Angle and (D) Senator Harry Reid. Angle looks to uproot the long time Nevada Senator and plant a new seed of political power with her own radical issues. Though she's made an impact in the race, many republicans are not so inviting. Many Red Party representatives say that her agenda is way too extreme for our nation and fears that her ideas will drive us deeper into the ditch that the Bush administration drove the nation into. Everyone from republican politicians to powerful republican business owners has paved their own path of anti Sharron Angle. 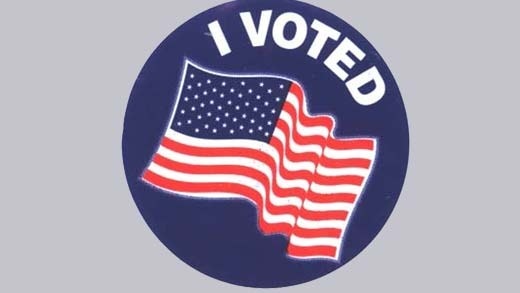 If you haven't voted yet, there is still time. Go to your local voter station and cast your difference making vote so you can live under the political rule that fits you. We all know that all who are elected will not be our preferred politician. But we can vote for our candidates and hope that the majority of the rest of the voters agree with you.